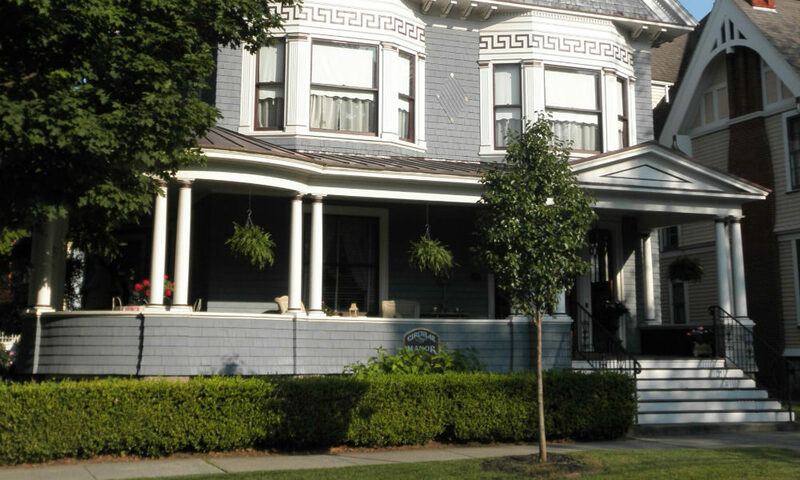 Historic Homes Tour weekend will kick off with an exclusive porch party, celebrating the 20th anniversary of Circular Manor Bed and Breakfast Inn, on Thursday, May 9 from 5:30-7:30pm at the B&B. (Tickets cost $100, and space is limited.) Porch-goers will enjoy live music from the Swing Men and wine and light fare from Lily & The Rose Catering. On Saturday the 11th, Saratoga Springs City Historian Mary Ann Fitzgerald will host the preservation foundation’s first “Breakfast & Buildings” event, which will explore the history of the Van Raalte Mill. Fitzgerald’s presentation, “Echoes from the Mill: Tales from Between the Lions,” will take place at the mill on High Rock Avenue at 9:30am, and breakfast will be provided by Spring Street Deli & Pizzeria. Later that afternoon, the foundation will also host a “Lunch & Learn” event with Charlie Kuenzel and Dave Patterson of Saratoga Tours, entitled “High Rock to High Stakes,” which will focus on the founding of the village of Saratoga at High Rock Spring, the rise of the Canfield Casino and how Saratoga’s waters and gambling scene attracted wealthy people from around the country. Boxed lunches will be provided by The Inn at Saratoga. Tickets for both Saturday events must be purchased in advance and are $20 for SSPF members and $25 for nonmembers. Funds raised at the Historic Homes Tour will support SSPF’s ongoing educational programs and its mission of preserving Saratoga’s heritage. For more information and to purchase tickets, click here or call (518) 587-5030.